In the most leading TV Show Kasauti Zindagi Ki 2, Anurag smartly backfired Komolika. Komolika faces wardrobe malfunction in Anurag Basu and Mishika’s engagement ceremony. The evil lady ferociously enters Anurag’s (Parth Samthaan) room to seek help from Anurag Basu in fixing her blouse. Therefore, Komolika sees Prerna (Erica Fernandes) with Anurag and before Anurag and Prerna to speak, Komolika lures Anurag and asks him to fix her blouse. Komolika (Hina Khan) takes advantage of situation and wants to make Prerna jeaous and upset. But as soon as she comes close to AnuragBasu , Anurag (Parth Samthaan) makes excuse and leaves the room leaving Komolika angry. Komolika (Hina Khan) is furious on how Anurag insulted her before Prerna. 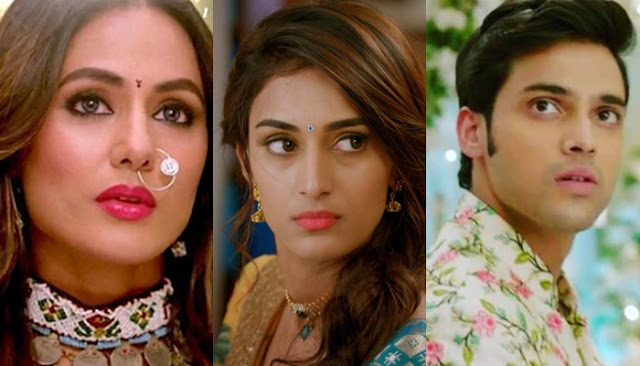 It will be super exciting to watch how Anurag and Prerna’s (Erica Fernandes) love will win over Komolika’s nasty efforts. Stay tuned to know what happens next.